Here is the detailed Cisco router configuration commands list, which can be implemented with packet tracer. Packet tracer is a network simulator used for configuring and creating the virtual cisco devices and network. There are also some other similar software but Cisco IOS output will be same on all simulators. To configure any device in packet tracer you are required to open or access its CLI. You can do it by clicking any device and then navigating to CLI tab. Once you are at CLI you can perform all Cisco Commands here. 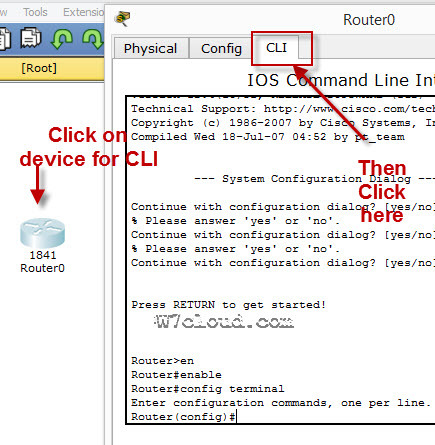 Cisco IOS supports numerous command modes which can be practice with packet tracer, followings are the main command modes of cisco CLI with specific commands to navigate from one mode to other. ROMMON ROMMON > Enter reload command from privileged exec mode. Press CTRL + C key combination during the first 60 seconds of booting process. Use exit command. IOS commands are not case sensitive it means that you can use them in uppercase, lowercase, or mixed case, but passwords are case sensitive. Therefore make sure you type it in correctly. In any mode, you can obtain a list of commands available on that mode by entering a question mark (?). You can change the cisco router name by using command hostname in global configuration mode. Above command will set the telnet password to “Cisco”. You can use the “show ip interface brief” command in Privileged EXEC mode for checking the IP address of all interface of Cisco device. Following command will set the default route to 10.10.10.101. 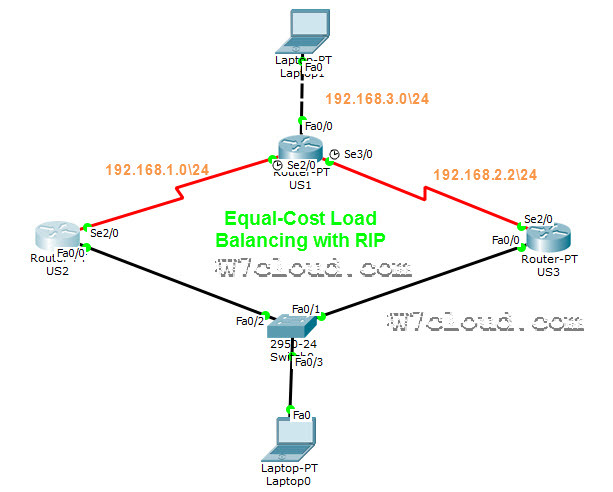 Router(config)#Router rip Enable RIP routing on router. Router(config)#Router ospf <process-id> Enable OSPF routing on router. Process-id is any number & must be same for all networks in AS.